PEDESTRIAN OFFENCES: FACT OR FICTION? Have you ever wondered whether jaywalking is an offence? Or drink walking? And if they are offences, what are the penalties? With the Adelaide Fringe Festival in full swing and Mad March just around the corner, it’s a great time to kick back, relax and enjoy the best of our fair city. But it’s also a time when police may clamp down on pedestrian offences, especially in vicinities in which alcohol is consumed. Here’s what you need to know. South Australian laws don’t have a specific offence of ”Jaywalking.” It’s an informal term which means that a person has crossed a road unlawfully or in doing so has endangered themselves or others. Walk without due care or attention, or without reasonable consideration for other road users, including other pedestrians, motorists and cyclists. Pedestrians must not cross a road diagonally, unless there is a sign allowing them to do so. Pedestrians must not cross a road within 2o metres of a pedestrian crossing. They must use the pedestrian crossing to cross the road. 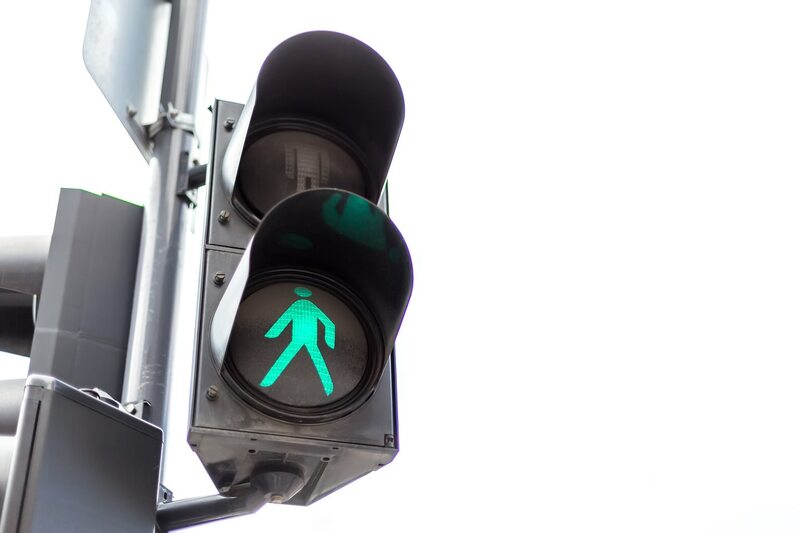 If pedestrian lights are in operation, a pedestrian can only cross when the lights are green. Penalties for these pedestrian offences can range from a $48 expiation fee (or on-the-spot-fine) to up to $2,500 where the person has been found guilty of the offence by a court. Instances of drink walking have significantly increased over recent years. “Drunk walkers” are pedestrians who have had an excessive amount of alcohol, or who are under the influence of alcohol. This is particularly an issue when people are leaving events and are walking near major roads. Drink walkers present a danger just by walking near a road. If they fall or stumble onto the road, they are at risk of being hit by a car, even if the car is travelling at a slow speed. A report noted that in 2016 one in three pedestrians who were killed on Queensland roads had been drinking. There is no specific offence of drink walking, but police do have the power to apprehend a person who is drunk in a public place. They can take them to a police station to sober up if the person can’t care for themselves. The person can only stay at the police station for a maximum of twelve hours. Although not under arrest, the person is considered to be in the lawful custody of the police and so if they wish to contact a lawyer or support person, they must have the opportunity to do so. Penalties may include a fine or imprisonment. Also, in declared public precincts, police have extra powers to conduct searches or to move people on from the area. This means that a drunk pedestrian isn’t breaking the law just because they are drink walking. But if they engage in other behaviour, for example they pick a fight with someone or start playing chicken with oncoming traffic, they may be arrested and charged with other offences. It’s worth taking some precautions to keep yourself safe this Mad March. If you’re in for a big night, make sure you can exercise enough control over yourself to use pedestrian crossings or to catch a cab or an Uber. But if you do find yourself in hot water, remember that we’re here to help. Contact us for a free first interview to find out more.